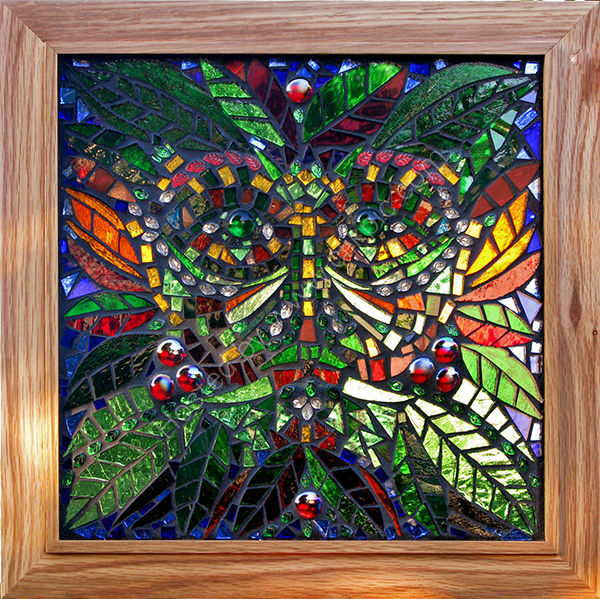 Stained glass mosaic on a glass base. Can be hung on the wall or in a window. Framed in solid oak frame 16x16 inches.